Some good weather at last for our hungry bees. The colonies at Eythorne are smallish and have appreciated feeds of heavy syrup, 2:1 ratio, 1kg sugar to 630ml of water. The bees are now making up the difference, I hope, with the abundant ivy flowers, a very rich source of nectar and pollen. Please pick up your Show schedule at the meeting, if not received by post. Some were not collected in August though the members were there! Did you remember to tick the list???? Chris will be looking forward to receiving your entry forms, you can hand them to him on the 29th [don’t forget to enclose a stamped self-addressed envelope]. Did you see September’s Beecraft? students from Karl at his apiary. Unfortunately DDBKA did not get mentioned, though 3 of us were closely involved! Nigel Douglas, a member from Barfrestone, bought a queen from Thornes, and did not realize till too late that his hive had been robbed out. So he kindly donated her to DDBKA, Patrick is to overwinter her and we shall expect great performance from her in the spring. Thank you Nigel. DDBKA have received a £50 donation from the Immigration Removal Centre at the Western Heights in Dover. Steve & I collected a colony that had built some lovely comb in a window recess. They provided a cherry picker for access, very exciting and successful as we managed to get the queen. They are to go to Clive Godderidge, unlucky this year with a failing queen and then very enthusiastic drone layers. 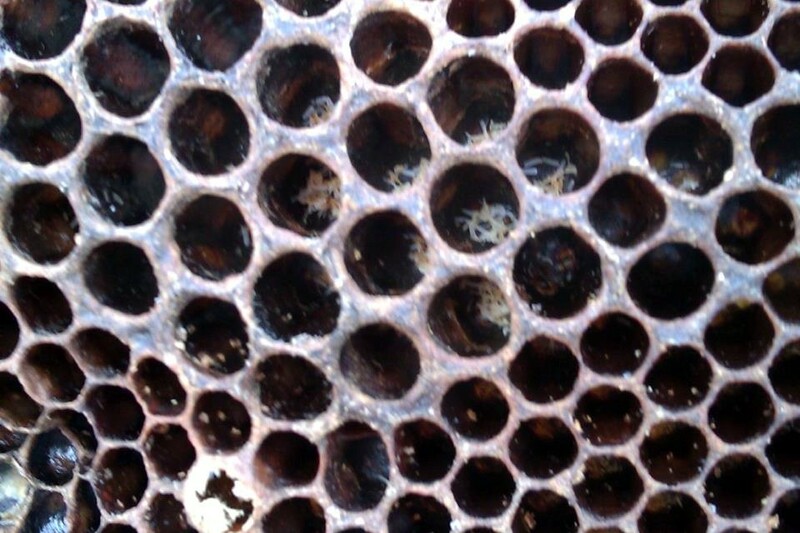 Alan Byham, SE Inspector, has sent his annual Honey Survey for you to fill in please. It will be of special interest this year because of the effect the weather may have had on yields. Please make an effort to email it back to him asap. Thanks.